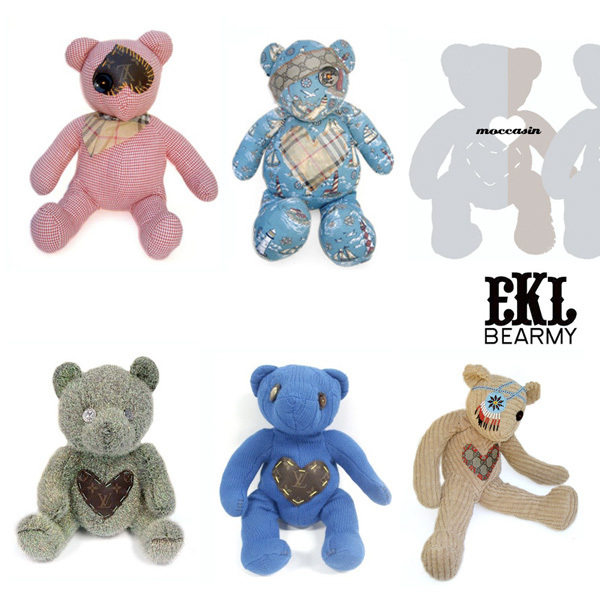 Textile Taxidermist Tara Logsdon gives abandoned teddy bears a new beginning and a designer look by repairing each one by hand with recycled materials. Broken Louis Vuitton, Gucci and Burberry Bag are used in the heart replacement so their new owners know they are ready for some high-end love. Tara also removes the nose and mouth and gives the new eyes to give them a better outlook on life. Each bear comes with a unique prescription that must be followed until the bear adapts to it’s new home.